Large-scale data structures used for property underwriting no longer work efficiently, resulting in leakages and underpricing. It’s time for property underwriters to modernize their insurance location management capabilities. Historically, carriers have relied on large-scale data structures for property underwriting. But these overly manual solutions that rely on multiple models have been causing leakages and underpricing that carriers can no longer ignore. In the current state of property underwriting, location data is not always reliable. Because underwriters have to enter data manually in multiple places and models there are often conflicting or competing views of location data. Research from Pitney Bowes provides compelling numbers. Most carriers struggle with multiple property addresses across systems: 60 percent of locations are off by more than 100 feet and 14 percent are off by more than 500 feet. These errors result in costly underwriting leakage. US tier-1 insurers alone have leakages of more than $100 million. This lack of precision in underwriting data, resulting in an inability to aggregate risks, is leading to additional exposures and environmental losses at a time when hazards are increasing. 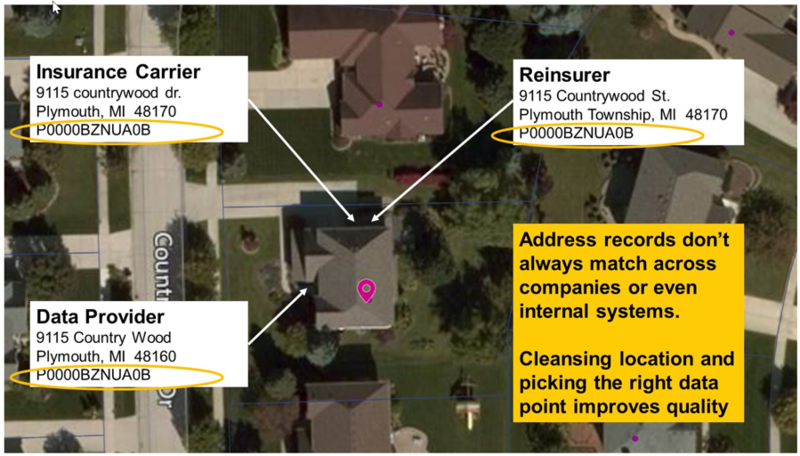 Policy software solutions can’t properly process and hold the complexity, structure, and amount of data needed for property insurance, leaving carriers unable to effectively share location information across the enterprise. As a consequence, the US property insurance industry’s underpricing is estimated at between $2 and $5 billion. Clearly, it’s time to rethink how property underwriting is done to stop the leakages, losses and underpricing. The future of property insurance will require a modern enterprise property underwriting solution that has four fundamental elements: workflow visualization, geospatial analytics, a master data management (MDM) location data store, and a policy system. In my next post, I will delve a little more into each of these key areas and explain how they can help modernize property underwriting. If you have questions or feedback about how to improve property underwriting, please contact me here.